My thanks to Cityluxe for providing the ink for review. 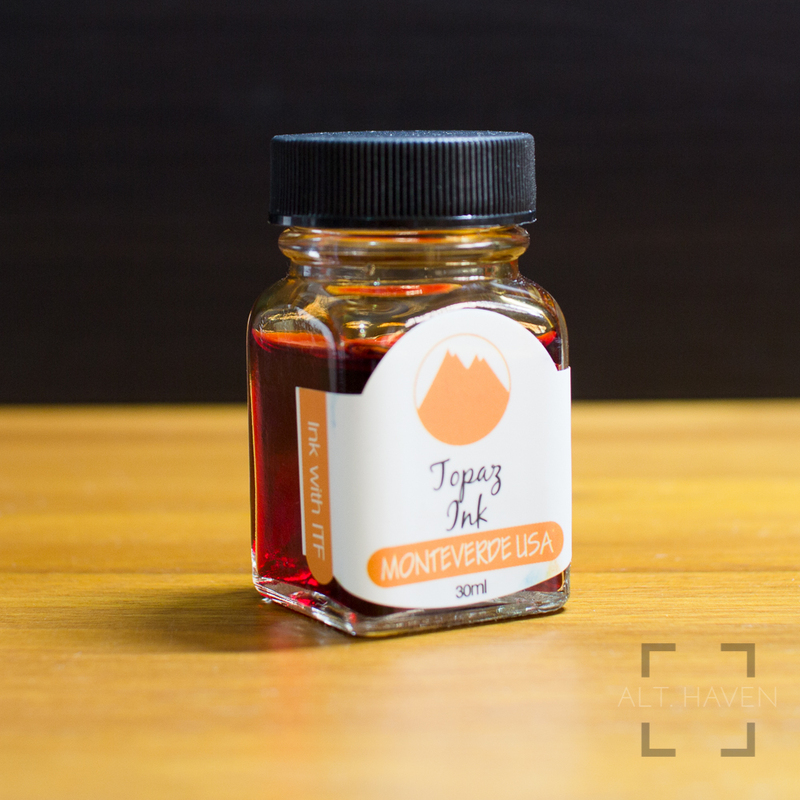 Topaz is an orange ink. It feel quite dry in both my Pilot Murex and Monteverde Aldo Domani fountain pen. Monteverde inks are advertised as lubricated but this one seemed contrary to that statement. This is my 4th experience with Monteverde inks and this is the only one that’s dry. Topaz shades, it’s not the brightest orange. Topaz is more of a faded orange. It shades from an orange-yellow to an orange-coral colour.